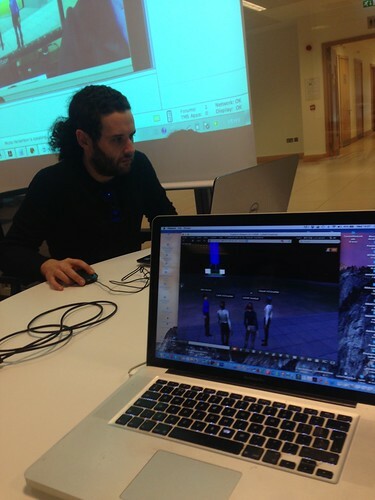 Location: SMARTlab Skelligs c/o Cahirsiveen Library, Main Street, Cahirsiveen Times: 10am-5pm daily. 1) Gain a working knowledge of fundamental AR and VR methods and techniques. 2) Be able to demonstrate knowledge of AR and VR methods by explaining certain features or aspects of the creation process. 3) Describe how the techniques would be applied to particular problems and use cases. 4) Develop competency in the visual programming of AR and VR. 5) Gain practical experience through the assignments to understand what is involved in designing and implementing a functional AR and VR system. A Certificate of completion will be issued by SMARTlab for those who participate in the full week and produce a design concept for a prototype. Microsoft, Signly, Volume AI, Lloyds Banking Group meet in London with SMARTlab to plan a strategic partnership to create innovative solutions for Deaf and Hard of Hearing People worldwide! Lizbeth Goodman met with Ross Smith (Global Program Manager, Skype for Good, Microsoft USA), Mark Applin of Signly, and worked with ideas developed in collaboration with Volume AI and the team at Lloyds. Watch this space for novel solutions and cognitive services building on the success of the Signly app! Smartlab researchers Colin Keogh and Ross Lawless, in partnership with Science Gallery International, visit AirAsia in Kuala Lumpur to deliver innovation training along with 3D Printing/VR/AR demonstrations to the staff in AirAsia’s innovation lab in their new RedQ headquarters.